My second sin was in making up the neck blank, I used Titebond original wood glue, an aliphatic resin glue, a current standard in guitar making. Here, we decidedly DON’T want the glue joints to ever come apart, so reversibility is not needed, or wanted. 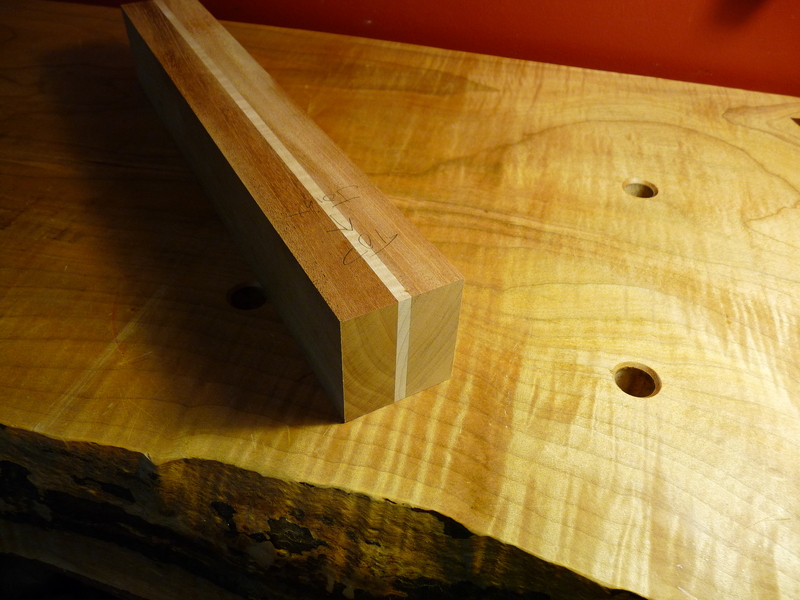 Plus, with the large surface areas of the three laminations (mahogany/maple/mahogany), a longer open time is critical. One of the reasons I’m using a laminated neck in such a small instrument is the grain direction of the mahogany I had on hand. Ideally, you want perfectly quarter sawn stock to avoid any twisting of the neck down the road. But, with a laminated neck, you can use less than perfect stock, and have the two halves of mahogany work against each other, balancing things out. (The maple center strip just adds a decorative touch.) 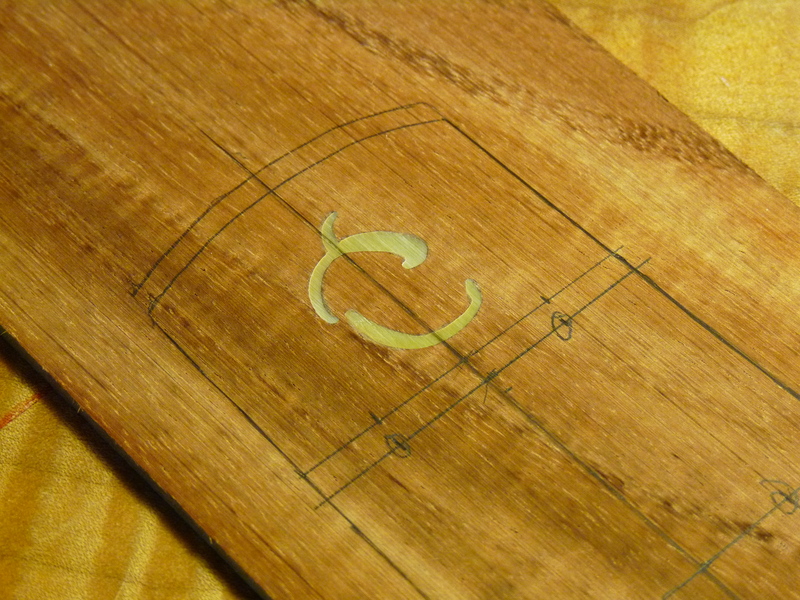 You can see the different grain lines in the end of the neck blank. This entry was posted on June 28, 2014 at 7:22 pm and is filed under Acorn House. You can follow any responses to this entry through the RSS 2.0 feed. You can leave a response, or trackback from your own site.